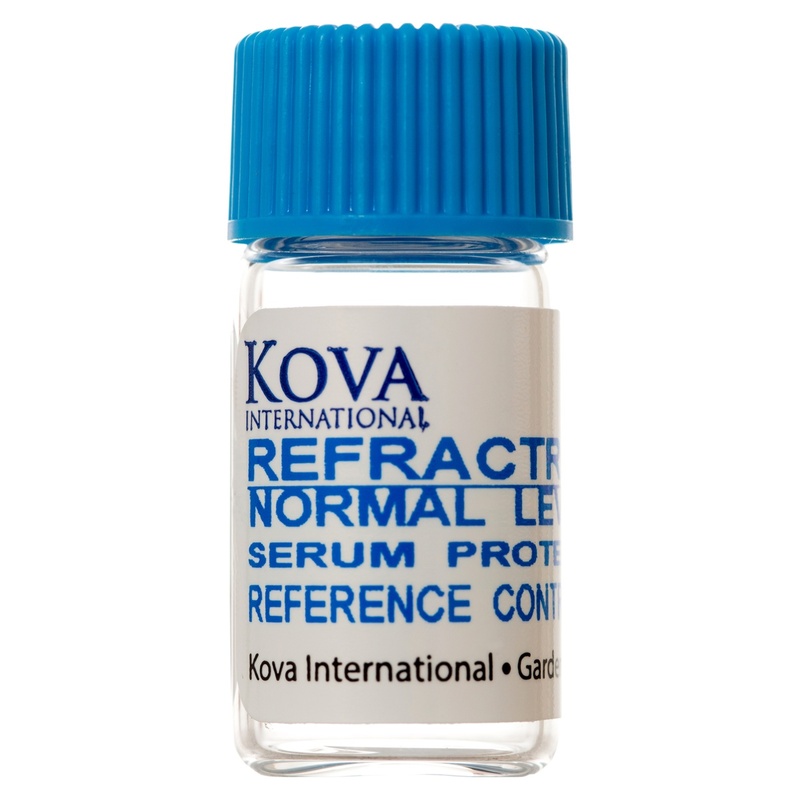 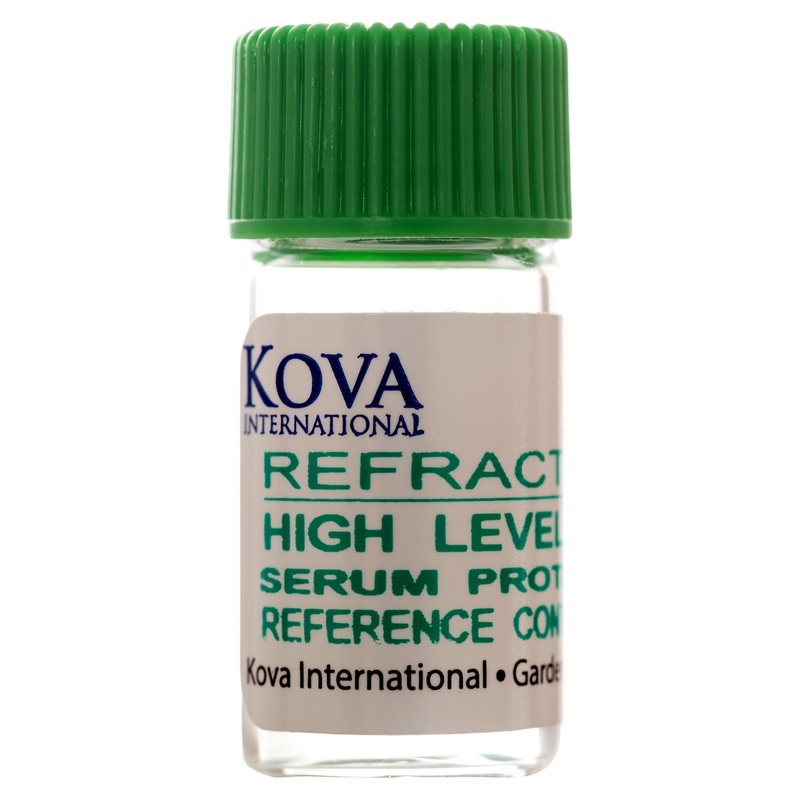 KOVA® Refractol SP control provides 5 levels of serum protein control solutions for use in refractometry. 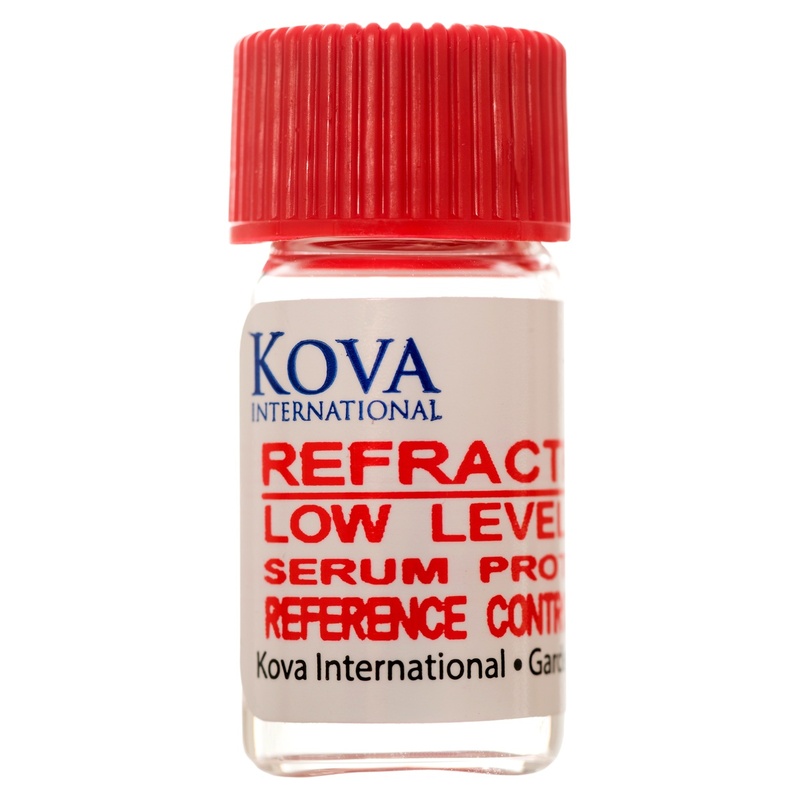 KOVA® Refractol SP was designed for use with temperature compensated and non-compensated refractometers. 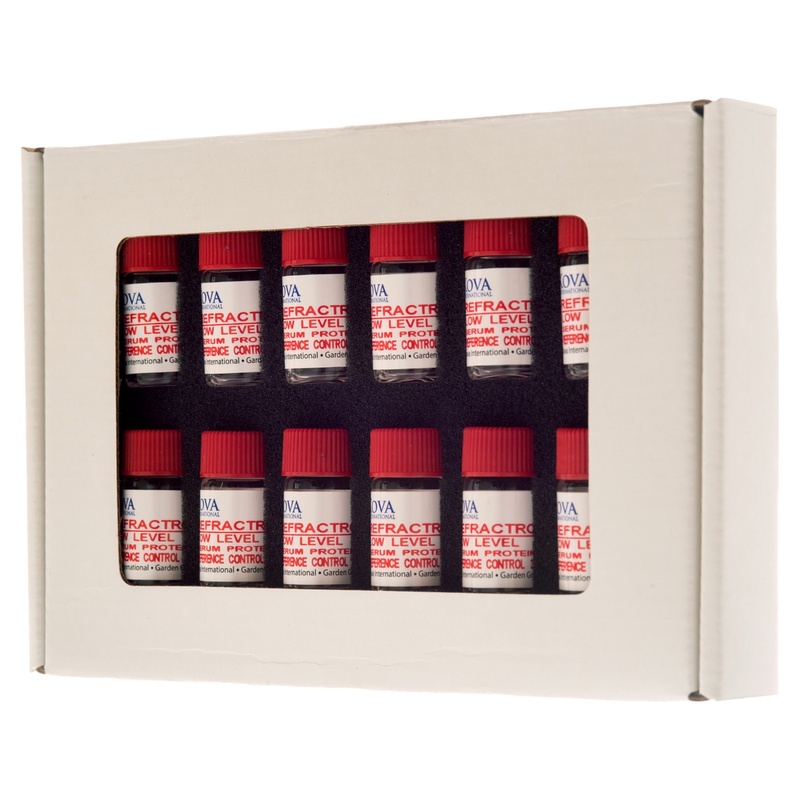 Recovery of the assigned values provides assurance of measurements of plasma or serum protein concentration. 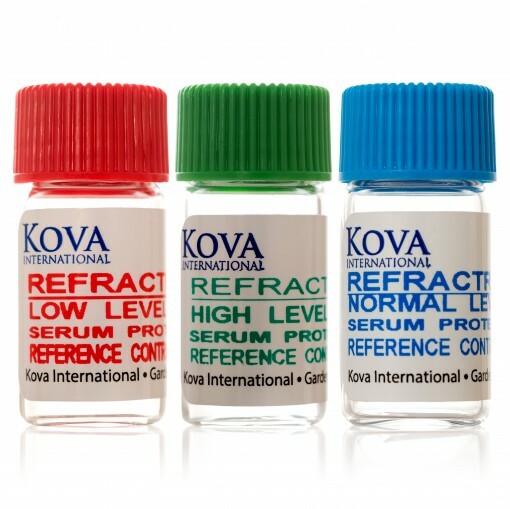 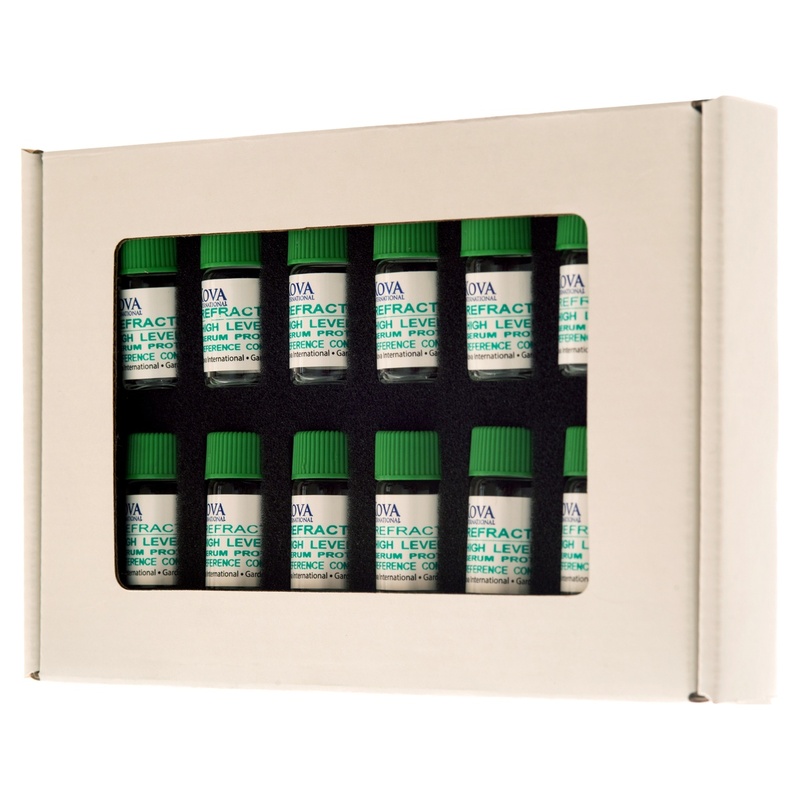 Each level of Refractrol is separately packaged in easy-to-use 2mL vials.